After reviewing each of the ten clubs that missed the finals, we now move onto the first of the clubs that have been eliminated from this year’s finals series. 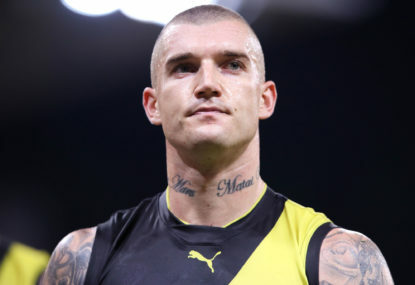 Many believed that after breaking through for their first finals appearance since 2001 last year, the Richmond Football Club would build on this success and push for a top-four berth in 2014. Any hope of that happening all but disappeared when the Tigers fell to a record of 3-10 after Round 14. The Tigers held some truth sessions, which initiated a nine-match winning streak and, eventually, a finals berth many thought was out of their reach midway through the season. That’s the major highlight. But what else was there? Let’s take a look back at the season that was for Richmond. Richmond’s season will be remembered for its second half – nine straight wins to climb from wooden spoon contenders to miracle finalists. This came after the club dropped to 16th on the ladder after suffering their tenth defeat for the season – a narrow 11-point loss to the Sydney Swans in Round 14. 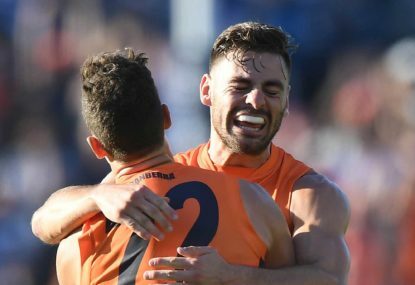 The confidence and fight not seen for most of the first half of the season suddenly returned as the Tigers roared up the ladder with wins over St Kilda (twice), the Brisbane Lions, Port Adelaide, the West Coast Eagles, GWS Giants, Essendon, the Adelaide Crows and finally the Swans to finish eighth at season’s end. Other than that, the Tigers also enjoyed earlier wins over the Lions and Giants, the latter by 113 points with Jack Riewoldt kicking 11 goals, as well as defeating Carlton in Round 2. Early season losses to the Gold Coast Suns, Western Bulldogs and Collingwood put the club on the back foot, and it got worse after they lost to Melbourne by 17 points in Round 9. 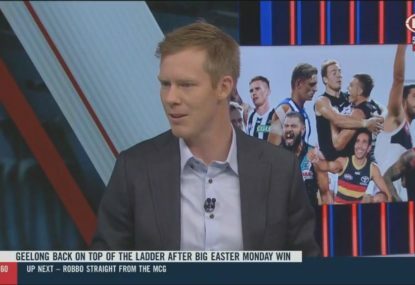 In the aftermath, Jack Riewoldt criticised the team for trying to implement a game plan similar to that of Hawthorn’s, but he did enough to avoid being dropped by Damien Hardwick ahead of the Round 10 match against Greater Western Sydney. At the time I suggested that if the Tigers lost their next match against the Giants, it would not only have ended their finals hopes, but also possibly Hardwick’s tenure at Punt Road Oval. Thankfully for the club and its fans, they hit back hard in the best possible way, putting the AFL’s youngest club to the sword by 113 points and ending a difficult week on the highest of highs. For the Tigers’ best win of the season, I chose their significant win over the Swans, which was the last match in their nine-match winning streak over the second half of the season. Entering this match having climbed into the eight for the first time all season, the Tigers needed simply to win to sentence any other clubs still in finals contention to playing for pride. 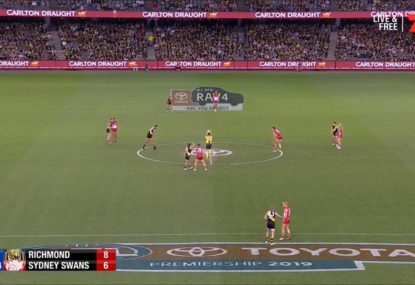 The side’s intent was clear from the get-go – they scored the first 33 points of the match and although the Swans came back, the Tigers just hung on to win by three points and secure their first passage into consecutive finals series in almost 40 years. After the euphoria of the second half of the season, all the hard work the Tigers had put in came to a shuddering halt in the first quarter of their elimination final thrashing by Port Adelaide at the Oval. The Tigers never recovered from coughing up the first seven goals of the game as they wilted under the pressure applied by Ken Hinkley’s men. Mind you, this was the same Power mob the Tigers claimed the scalp of at Etihad Stadium in Round 17. 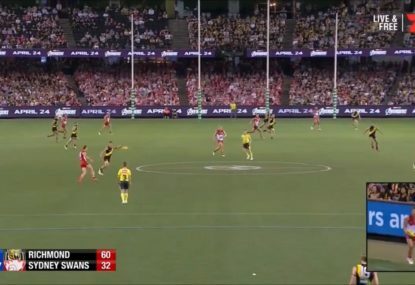 However, after trailing by 81 points at the last change, the Tigers made the scoreboard look a bit less embarrassing by kicking five goals to one in the last quarter. In the end, however, the phenomenal second half of the season would take its toll and the Tigers simply had nothing left in the tank entering the elimination final at the Adelaide Oval. It’s also interesting to think that the side bookended their season with their only two interstate losses this year – their previous loss outside of Victorian borders was against the Gold Coast Suns in Round 1. Once again expectations will be high at Tigerland on the back of the club’s first consecutive finals appearances in almost four decades. Former captain Chris Newman has signed on to play for another season, while club favourites Jake King and Daniel Jackson have both announced their retirements. In addition, seven players have been axed from the list following the elimination final drubbing by Port Adelaide. The Tigers may already know who their Round 1 opponents for next year will be, with the traditional Round 1 match against Carlton to be reinstated in 2015 after the MCG was ruled unavailable for this year’s opening round. With Carlton coming off a poor season 2014, next year’s opener will give the Tigers the best chance to start the season with a win and from there they can continue to build on the momentum they have created from this and last year.